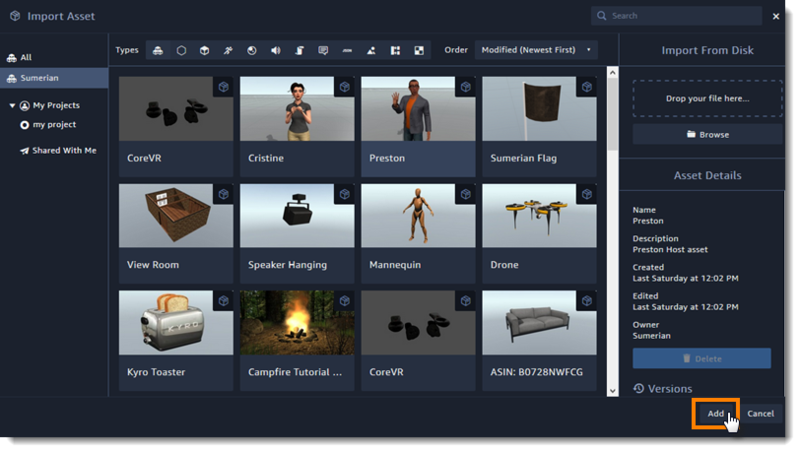 You can use the Sumerian editor's asset library to import assets from the Sumerian library, your local machine, or from asset packs that you export from a scene. Choose an asset type to filter the available assets by type. Choose an asset pack, and then choose Add to add it to your scene's assets. 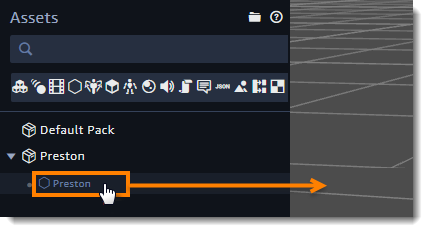 After the editor finishes importing the asset pack, drag an entity that it contains from the assets panel onto the canvas to add it to your scene.